That’s the base of a blender in case you’re wondering what the red thing is. 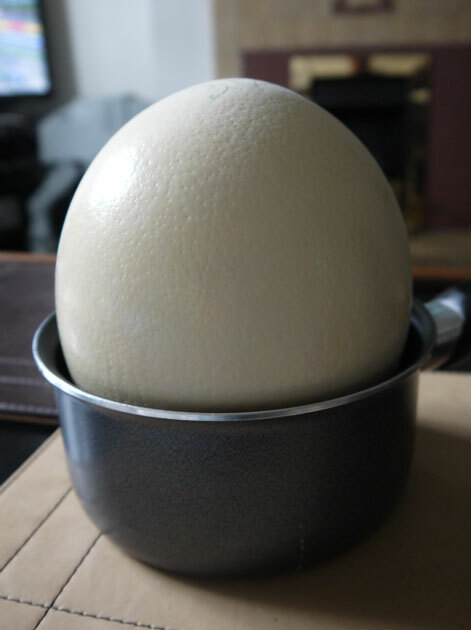 The ostrich egg was a birthday present courtesy of Baron Greenback! 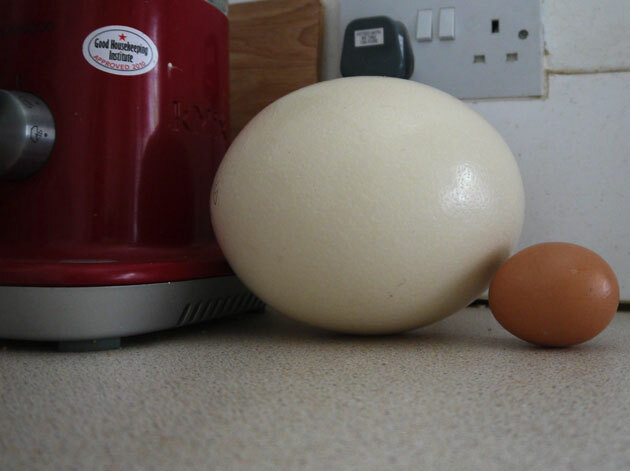 Is that a really big egg or a really small saucepan? It’s both! I didn’t eat it all myself, honest. Wicket and The Flame Haired Squelchie helped out. 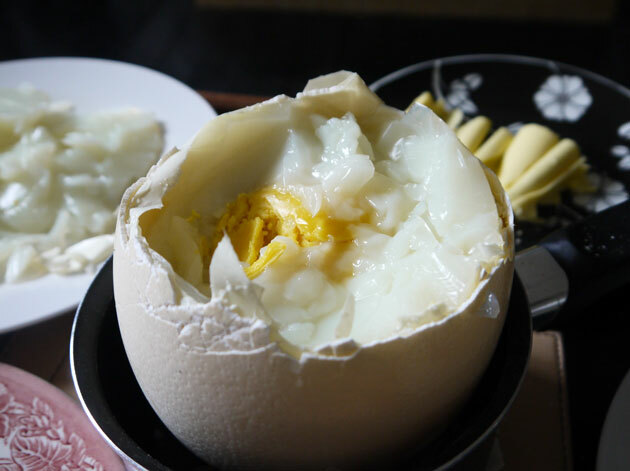 It tasted identical to a hen’s egg, but it’s the thought that counts. Tags: egg, ostrich. Bookmark the permalink.